Nothing of an artificial character should be allowed a place on the property, no matter how valuable it might be under other circumstances and no matter at how little cost it may be had, the presence of which can be avoided consistently with the provisions of necessary conditions for making the enjoyment of the natural scenery available. In proposing a detailed plan for the Niagara reservation, Olmsted described his principle of necessary artifice. He thought it quite appropriate, for example, to equip a train stop with toilets, shelters, picnic facilities, and the like. And he further recommended the building of walkways, as well as restorative efforts to combat erosion and restore barren areas. He was opposed to fancy landscaping, because “it is calculated to draw off and dissipate regard for natural scenery” in favor of an exaltation of human ingenuity. Since his report was a practical planning document, he carefully responded to a variety of developmental proposals. One plan urged that a fine restaurant he built on Goat Island, a wild place just above Niagara Falls. Olmsted conceded that any structure would to some degree obscure and distract attention from the natural scene, but that alone was not sufficient to disqualify it. 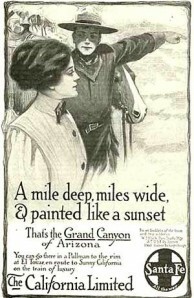 Rather, he asked, “will the absence of places of refreshment cause such hardship to visitors, reasonably prudent for themselves, as to seriously interfere with the general enjoyment by the public of the scenery?” Noting that a modest drive would bring visitors to hotels and restaurants located outside of the reservation boundaries, he opposed the planned restaurant. Probably the most revealing expression of Olmsted’s approach was his opposition to a proposal to permit people to see the falls without having to leave their carriages. Olmsted was by no means a wilderness advocate, and for him the question of people being asked to walk, rather than ride, through the reservation was a serious one. Being a professional planner, he always had a highly practical response. In this instance, he began by observing that each carriage took up much more space than a pedestrian, and in a place where as many as 10,000 people a day visited, even in the 1880s, he argued for the exclusion of carriages as an effective means of enlarging the carrying capacity of the park. But that was not his principal concern. To experience the park as a contrast, to get inside the scenic experience, it was necessary to take some time to see the falls at length and at leisure. To design the scenic viewing areas to accommodate numbers of carriages would “interpose an urban, artificial element plainly in conflict with the purposes for which the Reservation has been made.” The point is a powerful one. There is nothing malevolent in seeing the park from a carriage moving rapidly from one fixed, scenic overlook spot to another, but Olmsted regarded it as an urban experience, a man-dominated experience rather than a timeless experience in which the falls were the overwhelming presence. Niagara, Olmsted insisted, should be managed to encourage people to view the falls “in an absorbed and contemplative way.” To such an experience, the carriage is an obstruction. If there is any perspective that dominates contemporary thinking about the parks, and about recreation in general, it is the consumer perspective. To this viewpoint, Olmsted presents the elevating contrast of a cultural perception of the uses of leisure. To speak of man as the measure of all things is not only to state a cliché but to describe a world in which the rhythm of life is tuned only to the pace of human enterprise. It is not that we are necessarily going too fast, but that we risk losing contact with any external standards that help us to decide how fast we want to go. It is the function of culture to preserve a link to forces and experiences outside of the daily routine of life. Such experiences provide a perspective—in time and space—against which we can test the value, as well as the immediate efficacy. of what we are doing. Every culture provides institutions that preserve the possibility of perspective. The Sabbath as a day of rest provides the opportunity to infuse the relentless passage of time with meaning. The Constitution, in our legal system, builds a perspective of time into social decision making, which by creating a link with the values that dominated our past acts as a restraining force on the instincts of the moment. And the museum collects the experience of our predecessors in a display of all that has given value to the generations before us who have experienced the joys and travails of birth, growth, and death. In short, culture gives context to our lives, and context is the indispensable ingredient for a life infused with value.